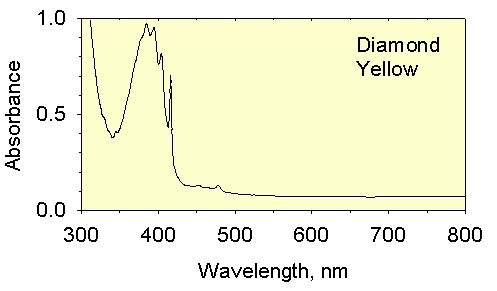 Images of the absorption spectra of natural color diamonds. 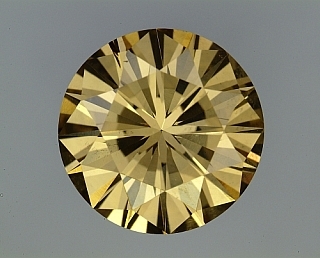 light yellow diamond spectrum; This spectrum shows the effect of the nitrogen component in diamond. light green diamond spectrum; from Venezuela shows the effect of natural radiation which produces green color in diamond. light pink diamond spectrum [will come soon]; from Argyle Mine, Western Australia. We do not adequately understand the origin of color in pink diamonds. fancy intense yellow, GIA 4890, ~8.0 mm thick, 2.08 ct, rectangle. A type Ia diamond. fancy intense blue, GIA 1119, ~6.3 mm thick, 1.15 ct, pear shape. 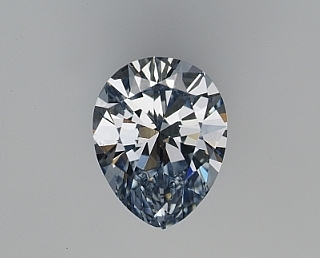 A type IIb diamond. fancy intense pink, GIA 7861, ~4.5 mm thick, 0.39 ct, cushion. A type. 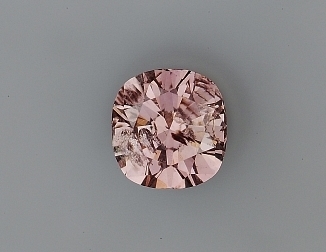 A type Ia diamond with pink graining (thin bands of pink color). 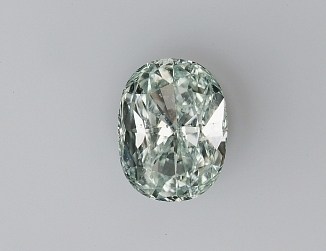 fancy blue-green, GIA 4684, ~5.4 mm thick, 0.48 ct, oval. A type Ia diamond with radiation damage. 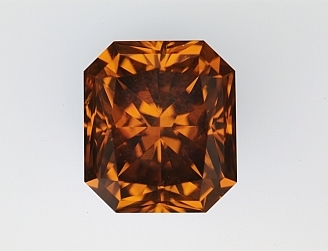 fancy deep brown-orange, GIA 6154, ~5.3 mm thick, 1.21 ct, rectangle. 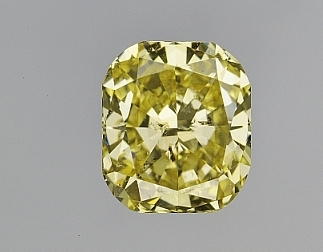 A type Ib diamond. 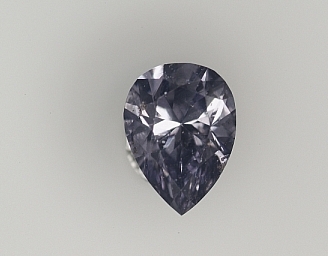 fancy gray-violet, GIA 6764, ~2.6 mm thick, 0.10 ct, pear shape. A type Ia diamond with high hydrogen concent. All of the data spectra above were obtained at room temperature. For laboratory testing, spectra are usually obtained a very low temperatures to make the sharper bands stand out prominently. Some diamonds owe their color to laboratory irradiation. The spectra below are all of laboratory irradiated diamonds. 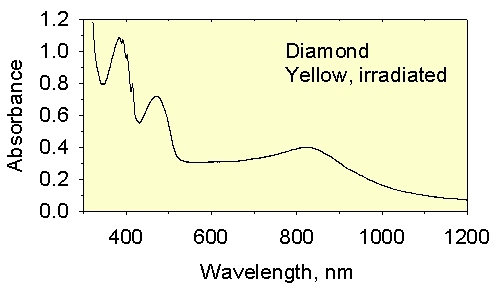 green irradiated diamond spectrum; The broad absorption band, known as the GR-1 band, is the result of a radiation-induced color center. A picture of a polished slice of a deep blue synthetic diamond prepared from a synthetic blue diamond made by GE (45 Kbyte) showing zonation of the boron.